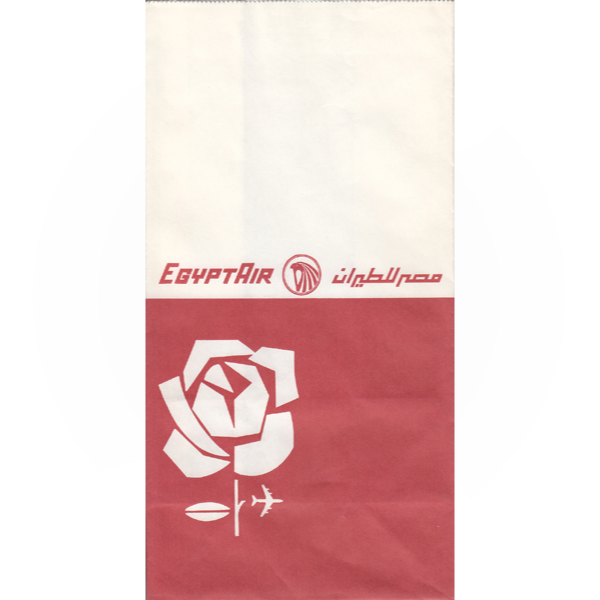 ﻿ Egypt Air 1985 | Bags on board : A week a bag! A nice design for the Egyptian national airline. 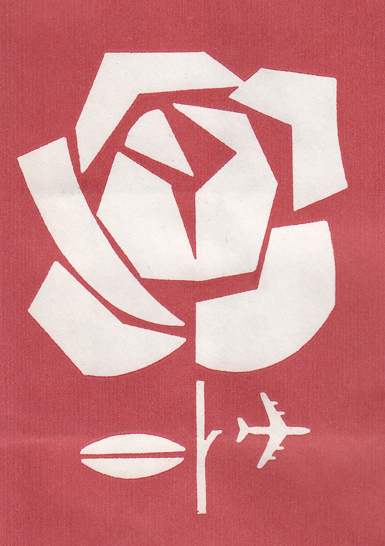 The leaf of the rose seems to be split in two by the plane. 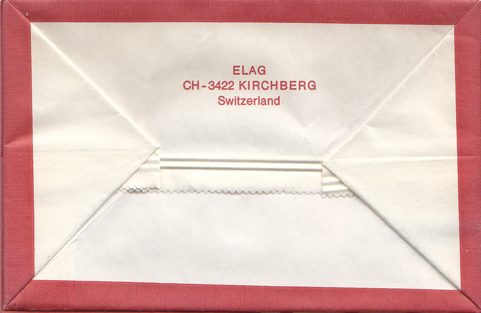 ELAG is the manufacturer. Exists also in blue with a white rose.